Today’s up-and-coming equestrians will be dreaming of traveling to Tokyo, Japan in 2020 after the International Olympic Committee named the city as the host of that year’s summer Olympic and Paralympic games. 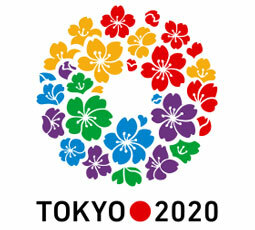 Tokyo had also submitted a bid for the 2016 games, which ultimately went to Rio de Janeiro, but as of Saturday’s announcement, it beat out Madrid and Istanbul for 2020. The equestrian events will be held on Yumenoshima island in Tokyo Bay. The name literally translates to “Dream Island” and was built in the 1950s out of landfill waste. Today, the island is covered in topsoil and home to a sports park, tropical greenhouse, and museum along with other attractions. Dressage and jumping will be held in the existing Dream Island Stadium. The Sea Forest Cross-Country course will be built on another reclaimed landfill island in Tokyo Bay. The city’s bid proposal states that the island will be reforested and used as an outdoor recreational area for Tokyo residents after the games. Mountain biking, rowing and kayaking events during the Olympics will also be held on Sea Forest venues. Watch the Tokyo 2020 Olympic bid video below. Don’t blink, or you’ll miss the appearance of equestrianism at around 0:20. Tokyo last hosted the summer Olympics in 1964, when the equestrian disciplines were held at the city of Karuizawa, 100 miles inland from the main venues. That year’s games saw big victories for Germany, with team jumping and dressage gold medals, and for Italy, with gold in both team and individual three-day eventing. Dressage rider Henri Chammartin and France’s show jumper Pierre Jonquères d’Oriola rounded out the gold medal tally for those Tokyo games. The American eventing team of Michael Page, Kevin Freeman, Lana duPont and Michael Plumb earned a respectable team silver at that year’s Olympics. This was in spite of Plumb suffering the loss of his mount, Markham. The horse, a veteran of the 1960 Olympics, was euthanized after he panicked while en route to Japan and handlers feared he would cause severe damage to the aircraft. Plumb catch rode a hunter-turned-eventer named Bold Minstrel and managed to finish 15th individually despite never having competed with the horse before. The versatile Bold Minstrel went on to a successful career as a show jumper with Bill Steinkraus. Notably, duPont’s inclusion on the American team made her the first woman to compete in the sport of three-day eventing at the Olympics. Prior to 1964, the challenge of eventing at that level had been deemed too dangerous for lady riders, but duPont’s ride aboard her Thoroughbred, Mr. Wister, proved that women could hold their own at even the most challenging equestrian competitions. DuPont (later duPont Wright) was inducted into the United States Eventing Association Hall of Fame in 2012. While the eventing silver was the only equestrian medal won by U.S. riders at the last Tokyo games, the other teams did have strong showings. The young, all-female American dressage team of Patricia Galvin de la Tour d’Auvergne, Jessica Newberry-Ransehousen and Karen McIntosh finished just off the podium in fourth place. Frank Chapot, Kathy Kusner and Mary Mairs-Chapot finished sixth in show jumping. Find out more about the Tokyo 2020 Olympics at tokyo2020.jp. I saw that on the news. How exciting! I wouldn’t want to take my horse to Japan after the Fukushima accident! do they have enough room?